Looking for a vehicle that can handle the beaten path? 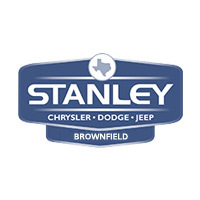 Our inventory of 4×4 SUVs for sale include some of the most trusted vehicles on the market for your Brownfield driving needs. Find incredible deals on financing and leasing on vehicles like your favorite Jeep model. The New Jeep Patriot 4×4 that lets you tow 2,000 lbs. Make an appointment with a sales specialist to find out more about our available 4×4 SUVs for sale by calling us at 866-603-5745, or leave a message online for more information!